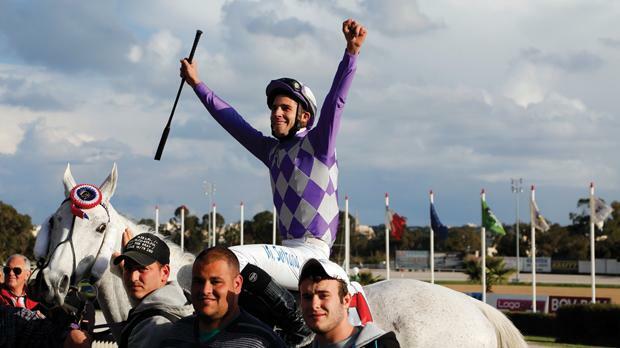 Kimberley Downs is the winner of the Ledon Cup after topping the flat race final during yesterday’s ninth meeting of the season at the Marsa racetrack. Six horses were at the starting gates of this final held on the 1,750m distance. Gold As Good, mounted by Italian Giovanni Formica, was the first horse out of the gates, opening a half length’s lead from Key Art (Sarah Borg) and Kimberley Downs, the latter under the guidance of Michael Sultana. However with a lap to go Kimberley Downs upped its pace from the outside and hit the front around 500m from the finishing line to cruise to victory by ten lengths from Gold As Good and Key Art. At the end of this race, Matthew Grech, Managing Director of Glow Lighting, presented the Ledon Cup to Sultana, the owner and jockey of the winning horse, in the presence of MRC official Fidel Dalli. Yesterday’s card also included a class Premier trotting race. Here, Quattro d’Arline (Cliferty Calleja) dashed strongly from the outside to seal its second consecutive win by two lengths from Vanmaker Limburgia (Charles Camilleri). Quattro d’Arline clocked an average time of 1.16” per kilometre. From the three class Bronze semi-finals, nine horses qualified for the final race. In the first semi final, Notre Joyeux (Charles Camilleri) overtook early leader Sandrone (Jason Vassallo) to gain its second win in a row. Reflexe De Crennes (Joseph Magro) finished third. Favourite Uranium Des Arkads (Kurt Saliba) notched its second win of the season and the eighth in a row in the second semi-final ahead of Principessa Caf (Carl Caruana) and Willesden Hanover (Wayne Farrugia). The third semi-final provided a thrilling finale as Obscur De Busset (Shawn Portelli) and Roc Des Rayons (Gilbert Farrugia) sprinted neck and neck in the final straight but it was the former which took its first win of the year with Nimbus Bjerregard (Mario Farrugia) taking third place. The next meeting at the Marsa Racetrack will be held on Sunday, with the first race starting at 1.30pm.